A perfect basic item for training. Made out of Drywick, a mid-weight strong yet supple fabric, these unisuits are constructed of the highest quality Microfiber and boast famous durability. 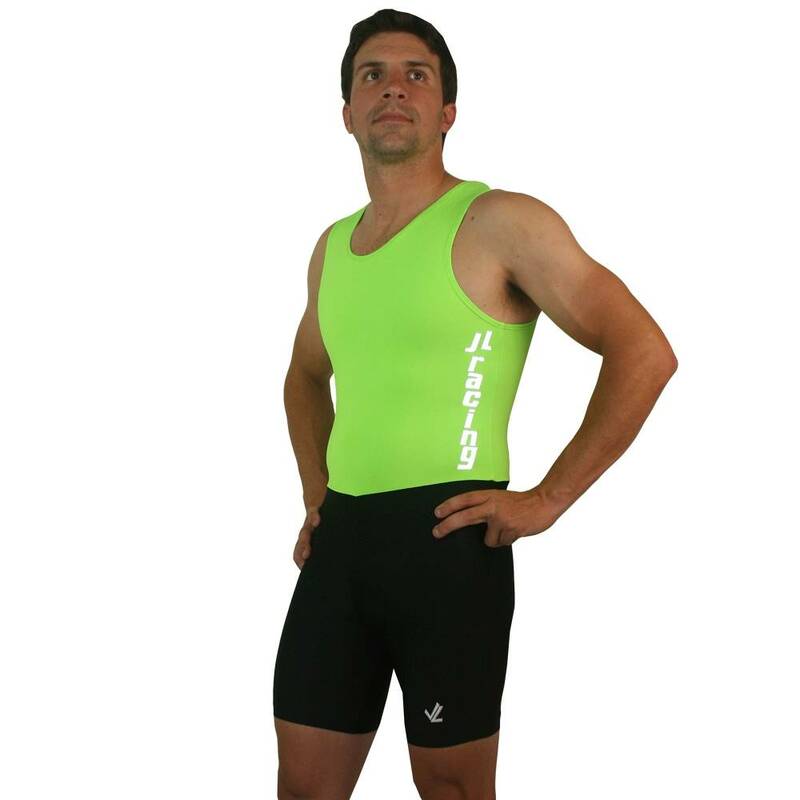 Unisuits are the preferred racing and training garment in the rowing world. JL's original "V-Front" waistline visually elongates the torso allowing for a proper and flattering fit. The men's unisuit has a tank style top, and the armholes are cut with plenty of room for the lats and the pecks you work so hard on during the winter. The torsos are cut long to ensure total comfort.